Our primary goal is to help you create a life and a family as easily as possible. The Law Offices of Sherrie L. Davidson, Inc., offers legal services for all aspects of surrogacy arrangements, including working with agencies to help define the scope of your relationship with the surrogate and working with private surrogacy arrangements. Whether you are a potential surrogate looking to help another family, or you are seeking a surrogacy arrangement to start or grow your family, we are able to provide high-quality, confidential and trusted legal advice. If you are planning on becoming a parent through egg or sperm donation, or seeking to help others form a family by donating your sperm or egg, there are many legal considerations that require the counsel of a trusted Ontario, California, surrogacy attorney. Our assisted reproduction services include thorough and supportive legal counsel; risk assessment; guidance on the various steps and procedures; drafting, reviewing and negotiating the legal contracts; drafting the necessary court documents and performing all work as required for the establishment of parental rights; analysis of complex international and interstate issues; and making sure the legal procedures are proper and ethical. 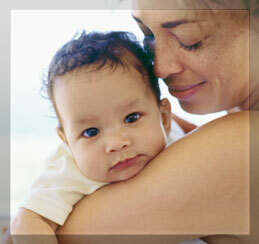 We gladly provide services to intended parents, surrogates, recipients and donors. If you have questions regarding surrogacy or gestational carrier contracts, schedule a consultation with an attorney at the Law Offices of Sherrie L. Davidson, Inc.. We can be reached at 909-937-0099 or through our online contact form on this website. Our normal office hours are Monday through Friday 8:30 a.m. to 5 p.m., but we are closed for lunch from noon to 1:30 p.m.